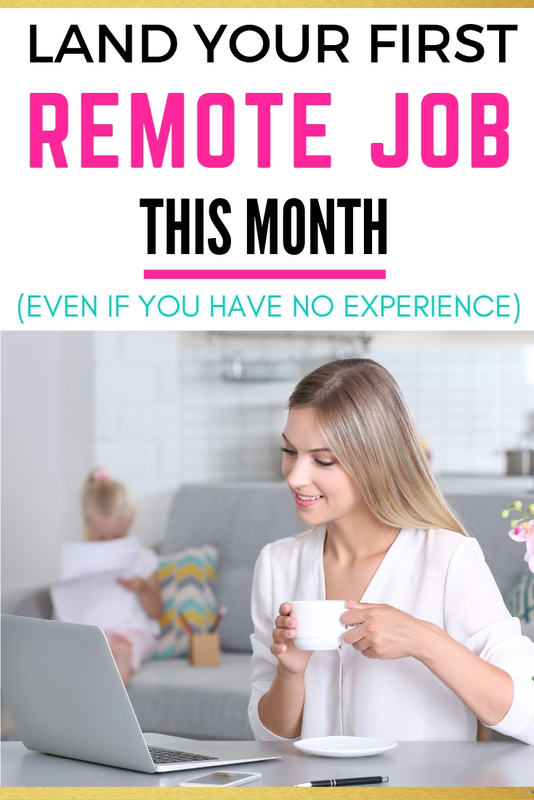 Does getting a remote job so you can work at home sound like the dream? More flexibility, more time to spend doing things that matter to you, and a non-existent commute – because that’s my idea of work life balance. I had my first internship in Corporate America when I was 16 and I knew on Day 1 that sitting in a cubicle and staring at off-white walls was Not. For. Me. I set out to escape the rat race and for the last 5 years I’ve done everything from experimenting with different side hustles, freelancing and building my own client base, to landing a stable remote job with a startup based in Silicon Valley. I’ve failed several times, but I’ve learned a lot along the way that I’m hoping will help you. Now I have to warn you, this article is not going to be about taking surveys from home or anything like that (not knocking it, but it’s not my thing). 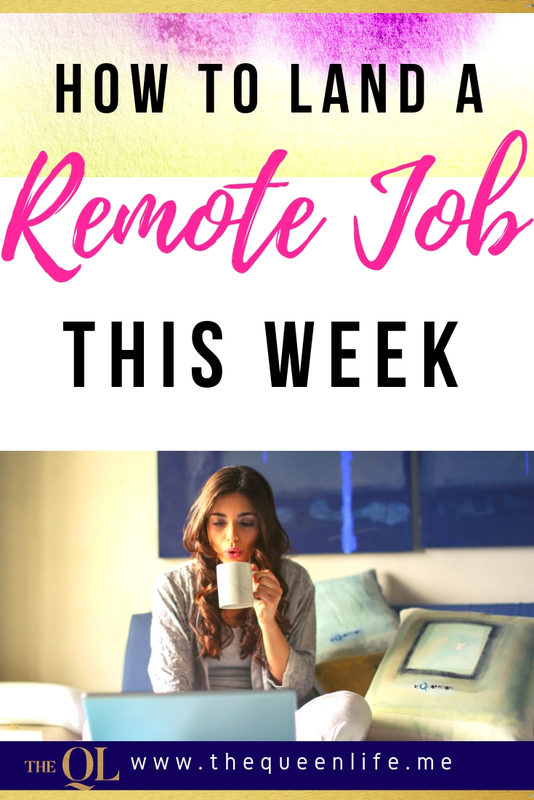 -We’re talking about finding real remote jobs that pay you regularly. What is the hardest part about landing a remote job? I’m a bad news, good news kinda girl. 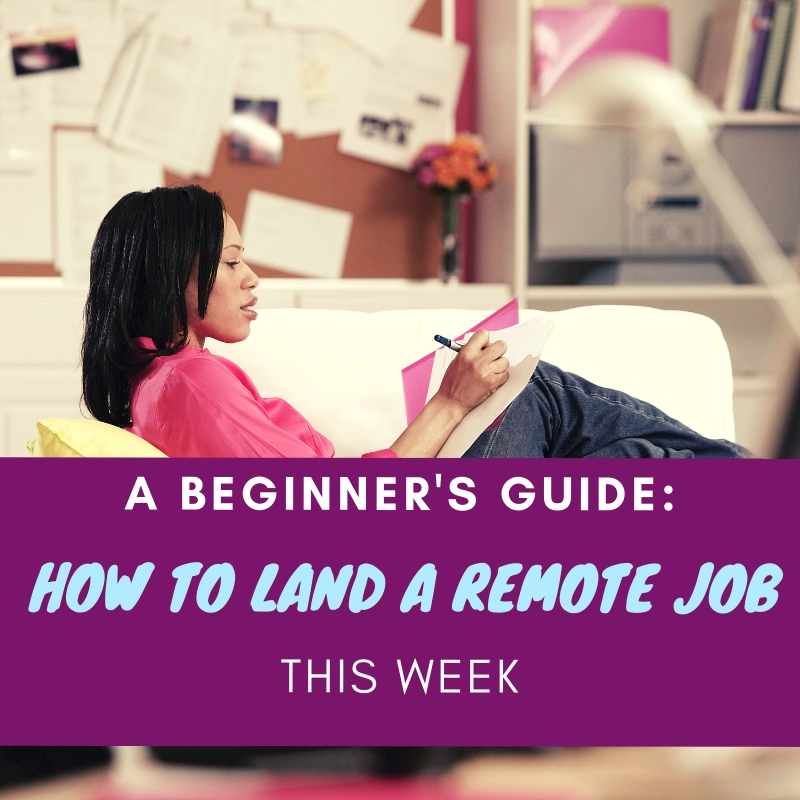 Before we dive into the specifics of landing a remote job, let me help set your expectations. Remote work is not for everyone. Sorry. Working from home can get really lonely, really quickly. If you love to interact with other people, working from home may be stressful and even depressing for you. Whether you’re doing it an on office, or you’re doing it from home, if your job doesn’t motivate you, your performance may suffer. Let’s be real, would you trust yourself to work from home? When you can roll out of bed and work in your pajamas, without anyone watching over you, things can go downhill quickly if you’re not a disciplined person. Be honest with yourself and evaluate your work ethic. If you have the discipline to get things done, then great, if not you may want to reconsider. Landing a Remote Job requires WORK. Landing a remote job is not necessarily easy, but it’s doable. To increase your chances of landing a remote job quickly, you’ll need to do more than just uploading your resume and waiting. Why? Because competition is fierce. Er’body and their mama is looking to make extra cash and have more flexibility. Work-from-home jobs are the holy grail. So if you want to get noticed, be prepared to roll up your sleeves and put in some work. We’ll get to the strategy a little later on, but for now let’s start with the basics. Unless you’re a unicorn, landing a remote job won’t be a piece of cake, but there are things you can do to improve your chances out the gate. As we said before, remote work isn’t for everyone. You need to be crystal clear on both why you want to work remotely AND why you’d be good at it. Anything worth having is worth fighting for & creating your ideal working situation should be on you list of things worth having. But as with most things, you may be met with disappointment and distractions – knowing why you’re going after this will often be the fuel that allows you to keep pushing forward. The best way to win the game is to understand how it’s played. Remote companies are looking for candidates who have both the skill set and the personality to get the job done. In this blog post, hiring managers answer common questions about remote work including, what traits they’re looking for in a candidate and what their hiring process is like. I highly advise you read it. I found a remote job that I knew was perfect for me and instead of applying directly on Indeed, I sent the CEO an email. I later found out that they’d received over 600 applications, and my email helped me stand out (I landed the job by the way.) Uploading your resume and hoping for the best simply isn’t the best strategy. Find ways to connect with your prospective employer. Your traditional job boards may not be the best option for landing a remote job. Check out some of my favorite resources. SAVE THIS LIST FOR LATER. PIN IT NOW. I LOVE We Work Remotely and I use it obsessively. Many of the jobs posted are from companies in the Tech space, but they include a variety of functions from Customer Support and Sales, to Programming. Here you’ll find jobs posted by Startups around the world. You’ll find startups in various industries including finance, healthcare, and tech. One of the things I love about AngelList is that you can see the salary for most positions upfront. This means you won’t waste time applying to jobs that won’t be a good fit financially. Provides a lot of variety in the type of positions posted. Some of the other sites tend to be geared towards people in Tech, but remote.co has job postings for teaching positions, writing positions, virtual assistant positions, and an impressive range of other jobs. Another great choice for finding remote roles, especially if being able to see salary information upfront is important to you. This site doesn’t have the best filters, so searching for the right position may be more challenging than with other sites. 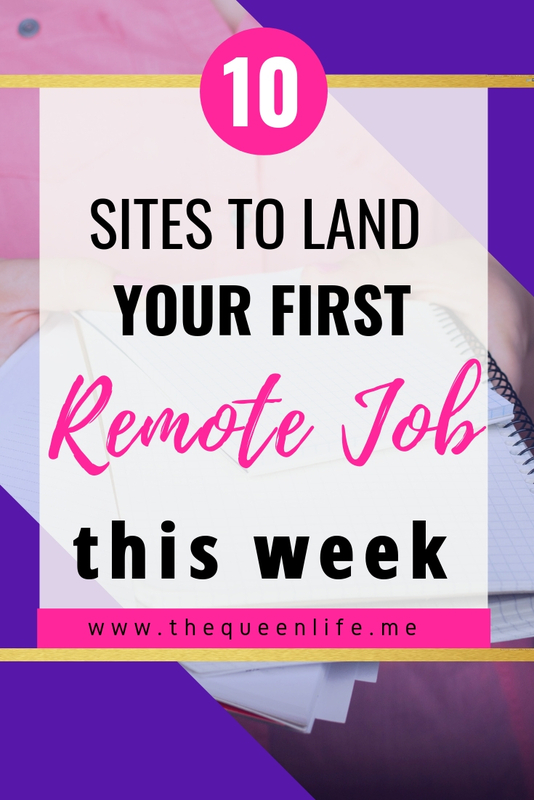 This Blog was amazingly helpful for me when I first started my remote job search. She updates her site weekly with job leads and sends out a weekly email with new leads. She does a lot of the research for you which is great if you don’t have a ton of time. I just recently discovered this gold mine. With Jobspresso you can find high-quality hand-picked, manually reviewed and expertly curated remote jobs in tech, marketing, customer support and more. You can sign up for job alerts and get updated about new openings on Facebook & Twitter. They have listings from over 2000 agencies in almost 200 countries. You can create a profile, set your salary requirements, and position yourself to be hired for your dream job. They currently have over 600 jobs posted. Apply for remote jobs and join a community of global remote workers. Find inspiration from others who’ve created their dream work situation. If your dream job lets you work and travel, then you’ll definitely want to check out stories from this community. Key Values was created for engineers, but it’s an awesome resource for anyone who wants to work for a company who shares their values. You can filter by companies that value work life balance, customer-centric strategies, or work environments that are ideal for parents. It’ll require some extra work because you’ll have to visit each company’s website. But as you can see from the screenshot below, it’s easy to find companies that would be a good cultural fit for you. Bonus: This article has a list of 60 companies hiring remotely in 2019. Where’s the best place to find REAL remote job opportunities? First, tap into your network. Reach out to people you know who currently work (or have worked) at the companies you’re interested in. A personal referral is clutch and can be extremely effective in getting you an interview. Next, refer to the list of sites above. You can also use job boards liked Indeed.com although you likely won’t find as many high quality job leads. I work full time, what should I do if I can’t find any part time remote jobs? Some of the sites above will allow you to filter by part-time positions. If you can’t find any part-time positions and you’re not ready to make the leap into full time roles, consider freelancing. You can find freelance opportunities on sites like upwork.com. Ryan Robinson curated an awesome list of freelance opportunities based on the type of position you’re interested in. Many of the jobs are looking for people with prior experience working remotely. What do I do if I don’t have any? Many remote teams want to hire people with previous experience working remotely. However, what companies really want are people who’ve demonstrated they can work autonomously. Can you be trusted to get your work done when no one is watching? If so, that’s what companies want to see. Do you have any other professional experiences that demonstrate this? Yes? Then mention it in your cover letter. Have another question that wasn’t covered in this post? Post it in the comments below and I’ll continue adding updates to this article based on the questions I receive. I want to say this upfront, please don’t get discouraged with your job search. Landing a remote job with an awesome company is possible, but like all good things, it will require some strategy and time. Tap into your current network and don’t shy away from reaching out to folks at the companies you’re interested in. I can’t wait to hear about your job search. Leave a comment below and let me know how your job hunt is going. And don’t forget to pin this blog post for later. Side Hustles & Working From Home: What are your Best Tips?